Come on a Trip to Iceland - 9 videos to discover its wonders! Come on a trip to Iceland with me! Here is a post gathering my videos about the island: 2 general about waterfalls, fire and ice. Then you will find films by regions and the last one about driving in Iceland. I hope they will help you project yourself there and plan your own trip! The first 2 videos are general, the following 5 are from each region I visited and the last one is to give you a sense of what it means to take a road trip around Iceland in terms of Driving. 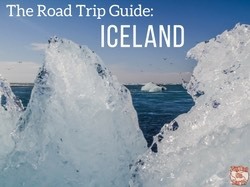 All the locations in these videos, along with many other beautiful places, are included in my eBook: The Road Trip Guide - Iceland. To experience a complete trip to Iceland you need to admire the waterfalls, the fire and the ice. The following Iceland video documents many of the places I admired for each category. If you want more landscapes, head out to the region videos. During My own trip to Iceland, I stopped and photographed 21 major waterfalls. There are a lot more... but this is a good place to start: Seljalandsfoss, Skogafoss, Dettifoss, Godafoss, Gullfoss.... For more information about each fall, check out my Iceland Waterfall article (which contain the same video). Reykjavik and its region also have a lot to offer. If you have only a couple of days for your trip, a classic is to complete the Golden circle with amazing landscapes and geological wonders. Discover them in the Iceland video below. With the South Coast of Iceland, North Iceland is my favorite regions. The South is the Ice and the North is the fire. I love how you feel like you are standing on another planet with craters, pseudo craters and geothermal areas. There is even a lava field that is still fuming!!! If you want to go off the beaten track on your road trip to Iceland, rent a 4WD a go to the Central Highlands. Accessible only during the summer months, the landscapes will leave you speechless. This is the place to reconnect with nature, discover it in this Iceland video. The best way to enjoy your trip to Iceland is to drive yourself. This can be daunting, but unless you go on 4WD roads, I can assure your that Driving in Iceland is actually quite easy. Check it out in the video below. And for more information head to my Driving in Iceland page. 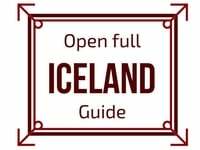 Discover more things to do and places to see in Oman in my Iceland﻿ Travel﻿﻿ Guide. What region do you want to discover the most?